Canada's combat mission in Afghanistan ends in 2011, while its training mission for the Afghan military and police gets much bigger. Government plans call for up to 950 Canadians to serve in Afghanistan until 2014 in a non-combat training role. Canadians first learned their soldiers — members of a top-secret commando unit — were in Afghanistan on Dec. 19, 2001. 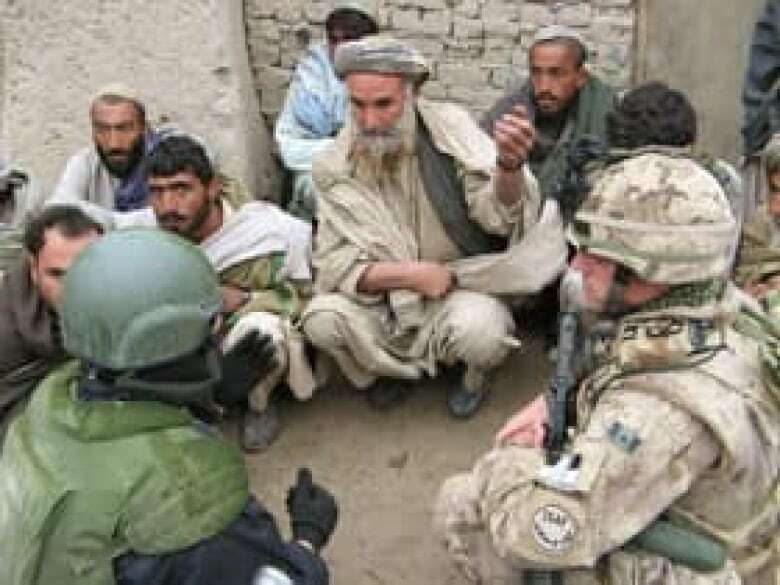 Art Eggleton, then Canada's minister of national defence, revealed in a CBC News interview that "there are approximately 40 JTF2 on the ground in Afghanistan, in or around Kandahar." 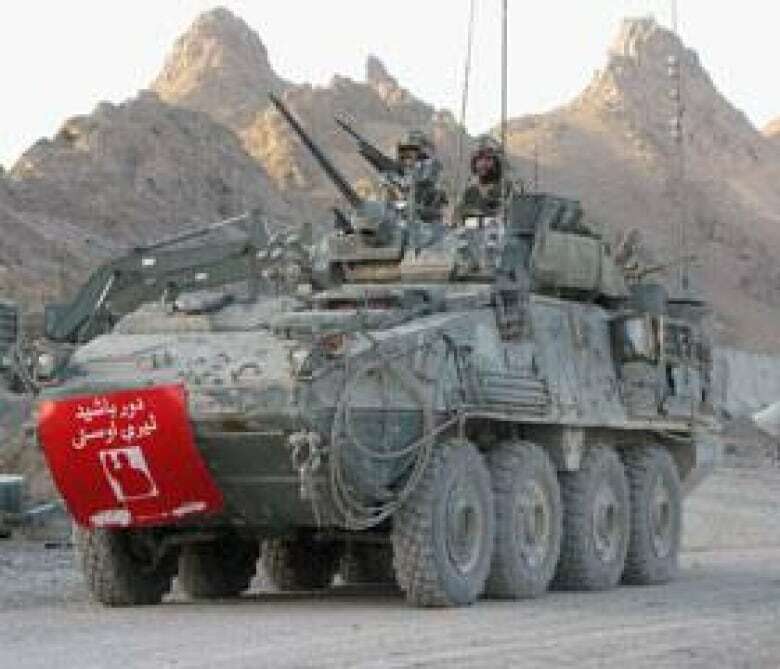 The first battle group, from the Princess Patricia's Canadian Light Infantry, arrived in Kandahar in February 2002 for a six-month mission. It assisted the United States and other forces in an offensive against elements of the Taliban and al-Qaeda in the rugged southern regions of the country as part of the U.S.-led Operation Enduring Freedom. That April, four members of PPCLI were killed and eight others injured when they were attacked by a U.S. pilot in a friendly-fire incident. By the end of July, the battle group was back in Canada. From August 2003 to December 2005, Canada's military commitment was largely Operation Athena, based in the capital, Kabul, as part of the NATO-led International Assistance Force. In 2004, Lt.-Gen. Rick Hillier commanded ISAF for six months before becoming Canada's chief of defence staff. On July 31, 2006, NATO troops assumed command of all military operations in southern Afghanistan. ISAF already had troops elsewhere in Afghanistan, including Kabul, and in the north and the west of the country. Lt.-Gen. David Richards, a British general, was put in charge of the NATO forces in southern Afghanistan. He announced the deployment of 8,000 NATO soldiers — including 2,200 Canadians — and Afghan units to six southern provinces by mid-September 2006. That deployment was increased to 2,500 in early September. Canada took on a major role in the more dangerous southern part of the country as part of ISAF. A battle group of more than 2,000 Canadian soldiers was based around Kandahar. For six months ending Nov. 1, 2006, Canada also held the command of one of the main military forces in the area, called Multinational Brigade for Command South. During this time, Operation Medusa, a major offensive against insurgents in Kandahar province, was launched. The fighting grew fiercer, and the casualty count rose. A heated debate arose within Parliament, and among Canadians, on the future of the Afghanistan mission. Should troops be pulled out in February 2009 as had been committed? If the mission were to continue, what should be its focus? In October 2007, Prime Minister Stephen Harper called for an independent panel to study the questions and recommend a way forward. Former Liberal deputy prime minister John Manley led the group. The Manley panel's report, released on Jan. 22, 2008, recommended that Canada's military should remain in Afghanistan beyond February 2009. 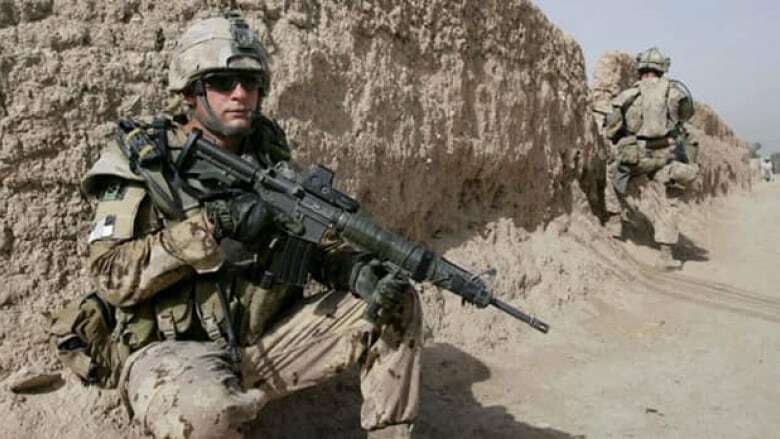 The non-binding report also said Canada's role must place greater emphasis on diplomacy and reconstruction, and the Canadian military focus must shift gradually from combat to training Afghan national security forces. "In sum," the report read, "an immediate military withdrawal from Afghanistan would cause more harm than good." Seven weeks after the Manley report was released, a confidence motion to keep Canadian soldiers in Kandahar until 2011 passed easily in the House of Commons. The Conservative motion, which was revised after consultation with the Liberals, called for the mission to be renewed beyond 2009 but with a focus on reconstruction and training of Afghan troops and a firm pullout date that calls for Canadian troops to leave Afghanistan by December 2011. The extension was contingent on whether NATO allies provide 1,000 extra troops and Ottawa secures access to unmanned surveillance drones and large helicopters. Heavy weapons cantonment: Helping the Afghan government collect, store and decommission 10,000 heavy weapons left over from decades of war, including artillery, tanks and rocket launchers. Demining: Foreign Affairs says Canada has a target to clear 500 square kilometres of land in Afghanistan of mines and explosive remnants by 2011. Training: Canada also has a role in training the Afghan police and army. A group of Canadian Forces instructors was in Kabul to train members of the Afghan National Army. That unit remained in Kabul while the rest of the Canadian contingent moved south to Kandahar. Canadian troops are also training Afghan soldiers in Kandahar, and the RCMP has a commitment to train Afghan police officers. Joint Task Force 2: The top-secret unit has been operating alongside the American and other special forces units in Afghanistan since 2001, but details about their activities are not released. During the fall 2008 federal election campaign, Conservative Leader Stephen Harper emphasized the "end date" for the Afghanistan mission would be 2011, with the bulk of the Canadian military forces withdrawn by that time. A month later, a government report found that the military mission in Afghanistan could cost up to $18.1 billion, or $1,500 per household, by 2011. The report tabled by parliamentary budget officer Kevin Page also found, however, that a lack of government consistency and transparency made the figures difficult to estimate and said that they likely underestimated the full costs of the mission. Later reports would estimate a higher cost. By 2006, more Canadians opposed their government's military mission in Afghanistan than supported it. As the opposition continued, it grew less likely the government would extend the mission beyond 2011, even though there was no sign of an end to the conflict. 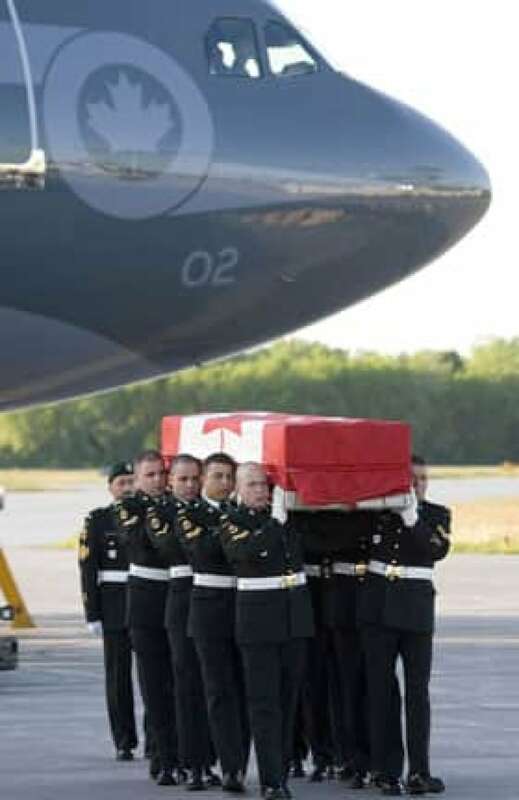 In December 2008, the number of Canadian soldiers killed in Afghanistan passed the 100 mark, reaching 155 on March 27, 2011, with the death of Corp. Yannick Scherrer. In 2009, the U.S. revised its Afghan strategy, which led to an additional 30,000 U.S. troops sent to Afghanistan in 2010. The troop surge was to lead to the beginning of a U.S. troop withdrawal as early as this year and an end to the U.S. combat role by 2014. Afghanistan would take on an increasing responsibility for its own security. For the Canadian government, concerns about Afghan detainee abuse caused problems in 2009. The issue of the fate of Taliban prisoners handed over to Afghan authorities by Canadian troops first became public in 2007, but faded. Then Richard Colvin, a former Canadian diplomat in Afghanistan, told a parliamentary committee on Nov. 18, 2009, that "according to our information, the likelihood is that all the Afghans we handed over were tortured. For interrogators in Kandahar, it was a standard operating procedure." Detainee abuse was back on a political front burner in Ottawa. 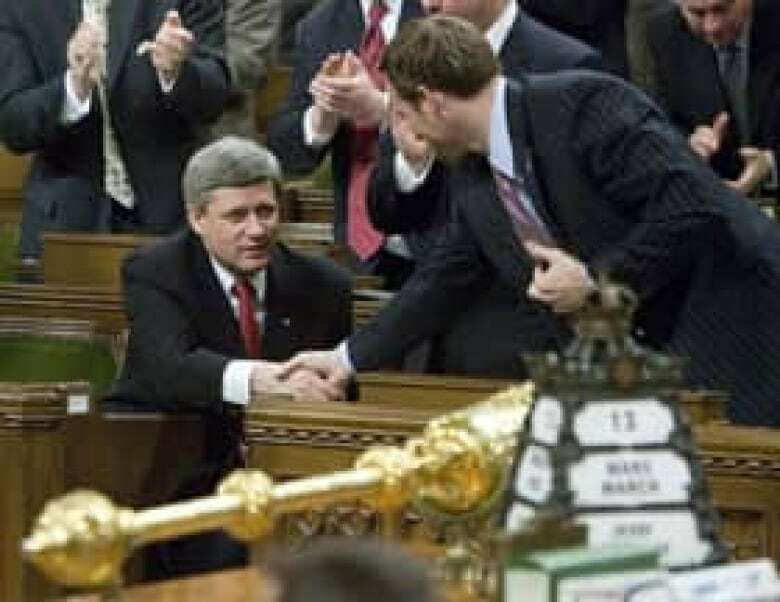 The issue continued to dog the Harper government until the 2011 election. In November 2010, Harper announced that Canada's mission would be extended but in a non-combat role. While stating that he was against, "pulling out too early, if we can avoid that," Harper said Canada would expand its training program, meaning a significant Canadian military presence in Afghanistan would continue until 2014. The government says that up to 950 military trainers and support personnel will help train Afghan soldiers and police, at an estimated cost of $2.1 billion during the three years. As the training ramps up, the major location for Canada's mission shifts from Kandahar to the relative safety of Kabul. The Liberals under leader Michael Ignatieff supported the extension via a training mission. NDP Leader Jack Layton, now Opposition leader, opposed the move.